This is a look into an adventure I had running a company where I produced, and sold Meditation (instant meditation) CD's for the "hard to meditate" and "insomniac" that also helped with the internal dialogue. The company has since been shelved so I could focus on my other passions (writing for example), but I wanted to share my journey and hopefully inspire others to follow their dreams of business ownership. I'll talk about some of my *until now* hidden secrets for creating a phenomenal CD that actually puts you into a power trance. I did a lot of experimenting and had a great deal of fun networking with experts, building music and inventing technologies in music that feel like incredible journey's. I hope you enjoy my story. My journey. My path. In 2008 I pulled my TranQuil-Wiser line of 38 retail CD compilations off the shelves. Over the last couple of years I haven’t made new music (well nothing official, a lot of messing around however) or built new CD’s for my line but what I did find was that my music had a bit of an impact with many different online radio stations and well sadly with piracy. This station pirated my music without paying me but I like what listeners had to say so I left it alone (for now). The good news is that my music continued to intrigue people far after I moved on to new pastures. I felt it was a good ride and was fun but the problems in the business started to rob me of the fun of helping people. I was pretty much spending every waking moment filling orders and to do that I was actually printing out my jewel cases, burning the CD's slamming them all together then boxing it for shipping. I was meticulous about packaging and retail "value" of the first impression. The fun part of the job was starting to become less prominent and I was finding myself focusing on too much "business" end of the company. I sold a lot of product but I was probably asking too little for each CD and thus couldn't afford to outsource. This is where I ran into a cross roads. When I shut the doors, canceled the website, put the masters and tooling equipment away I honestly felt a sigh of relief. A few years of working in the real world again felt good, I was burned out, but over those years my company would haunt me. I'd run into my box of master CD's and couldn't help but slip on the headphones to hear one of them... wow. You know what I missed the most? The emails from customers and potential customers either telling me how much my product helped them or asking for advice. I'd spend hours answering one email just to make sure I worded it right and offered the most help I could have. Since my business was self empowerment I enjoyed giving advice on things I had profoundly learned the hard way in life. When I couldn't answer emails because I didn't have the time- filling orders took an enormous amount of time, I was a one man show at the time, and part of the routine was listening to the entire CD to make sure NO defects were in the track. I was a bit ocd with the quality aspect because it just takes one glitch in the CD since it's a continuous entrainment type product for someone to get upset and want a refund. This was obviously not working, and again the part I loved about the work was creating music, generating new technologies, and passing out advice. I missed this so much that when I found hubpages I was back in seventh heaven (Now I'm on Wizzley no longer HP). On 2.0 sites I could write advice on topics so many people were interested in and I could help thousands who read my article now and forever. I like that I could generate some chump change in adsense and help people at the same time- brilliant! It turned out to only be chump change for the first year or two though! Many of my psychology/self help articles encompass the same concepts as my CD's. I think writing the web-page copy for the CD's was also a major aspect of the fun. It was like writing an article only at the end I'd offer the CD product to help people to put the information to use NOW, a sort of anti-procrastination insurance policy. Knowing the path and walking it are drastically different! When I finished writing sites and ran out of ideas for new products (themes) I found myself no longer running a fun company but rather bored with the work part of it and uninspired. It became mundane routine, and no more creative fun. I was receiving less emails and more orders, and the money was good but it didn't give me passion. I had sort of became corporate in a way and the lackluster of that feeling wasn't me. I also felt I was shortchanging my customers because I wasn't available to answer ALL their questions. This company was my baby, my first official (high earning, much more than even eBay days) money making and passion churning venture. I did find new and exciting ways to make money online as evident in my articles on that, but this doesn't give me the passion I want and desire. So with that I want to take you into my world a bit and share some of my exciting ideas, concepts, and technologies. I have invented some pretty amazing things over the past 10 years and the two newest ones are pretty innovative and different. I believe with these I can create new products which means getting back into the fun and creativity of writing music, adobe audition is my playground, sound is my vehicle, and technology invention is my paintbrush. One of my favorite things to do in my business was actually generating the musical and binaural tracks (and jewel case artwork) as well as recycling old concepts like subliminal (silent sound not the old school technology of lowering the volume, this is a very different and complex technology) technology to create a layered sonic landscape. One thing I did was instead of subliminalizing words or affirmations only, I realized that I could do this with music, sounds, and combinations of filters to generate a conscious/subconscious musical set (part you hear consciously part you envision subconsciously). It's a bit of precognition and a bit deja vu when it's played. Some of the music "characters" were submiminalized with silent sound and played slightly before you could hear it consciously (subconsciousness it was already heard). It created a "premonition" effect. I found that putting the same sounds in the subliminal (18.500 hz) range with a few stereo channel tweaks and I could tap the conscious and subconscious mind at the same time to create whole brain synchronicity. This idea alone, just one of many, spawned a brand new way to develop trance music that could put you into an excited but meditative state (body asleep mind awake, sort of lucid dreaming while awake). 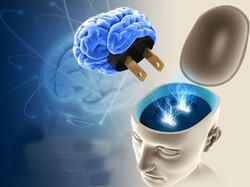 Using subliminals for reprogramming the internal dialogue is effective but without some way to make the brain feel entertained while pounding them in there like a commercial does will often get ignored like a commercial does. With the technologies I was creating to keep the mind entertained (the tranquil part) I was making it incredibly easy to feed the brain knowledge, wisdom (the wider part), and entertainment at the same time. I was trying to rendition the matrix movie's way of using the matrix as a stomping ground to learning faster. I realized that when your brain is stimulated and you get excited you tend to retain more information- even subliminal information. To this day I use my self esteem CD to keep myself focused and confident. When I closed the doors I continued to get emails from people wanting my products, I was simply done dealing with it so I turned them down, then reconsidered but offered digital downloads instead of a CD. Many had hoped I'd return and rekindle the business, others who had my music well shared it- with online communities FREE. I saw people trying to steal my ideas for product names (like Luck Generator) and even rewrote my articles on luck to sell them (lol, hey at least I know they liked my article right?). I'm sure they even sold actual copies of my CD's and when I find out they did well, I'll let them sell enough copies for me to sue and get all those years of income back :). I could get mad but realistically I never made the music so much for money as wanting to help people like myself cure insomnia, enhance self esteem, charisma and other things. My products were built for me then when I found some interesting results I would release it as the next best “ride” on “The TranQuil-Wiser” rollercoaster. I was pretty much using the money I generated to fund buying new clips, software to create enhanced effects and so on- I never thought this would become so popular! I now use my music creation/editing skillsets to build video audio effects and more. I could say I simply ran out of ways to heal the soul that interested me, and partially some of my newer concepts tended to not sell (I guess although they were practical the titles didn't seem so practical) even though they were pretty cool “sounding” musical compositions that sparked up fun emotions, I came to realize that there was a great use for my technology. One thing about the way my music is made and how it sounds is that it is the most unusual music you’ve ever heard, and I’ve created some intriguing concepts like Dynatmosphere (using the shuffle feature on all CD players to create the worlds first “never ending and changing CD mix track). It works by creating an atmosphere that is__ (omitted to protect my formula). Each track is only (Omitted to protect my formula)- sorry guys this was in here before but the potential for someone to steal the idea/technology was too much so I removed it. Dynatmosphere allowed a CD to never become old, it also allowed a single CD to produce thousands of versions of itself. It basically shifted the characters (whales, bird calls, thunder, rain, etc... collectively separate from the main back drop/redundant atmosphere scape) around like a Saturday night live stage (which characters move to different stages taping several shows their all in simultaneously)! These "actors" were elements you’d expect in this type of atmosphere such as whale calls, seagulls, birds, thunder, and so on. They would naturally make up the (removed content) and some included nothing at all to keep it interesting and dynamically natural. When you ran the CD on shuffle you have millions of combination's these tracks can land in but when you play the CD from beginning to end you have a CD that sounds like one consistent track (you won’t even know it switched tracks). The brilliance of this concept is that you could run your CD player on shuffle and repeat (whole CD) and every time your CD restarts it will "feel" and "sound" different! So there you have it Dynamic Atmosphere or Dynatmosphere™ by Jerrico Usher. I have figured out how to do it with consistent binaurals that don't change but such binaurals are usually not good for entertainment, but more so for headache relief and the like. I'm working on a concept/formula that would create a binaural (brain entrainment) CD that when put on shuffle will change the very binaral frequency so one CD could be used for several things- this may not actually be possible (but that doesn't make me give up). I use binaurals a lot to generate emotional responses to the music, it's pretty powerful stuff, but I did find a program that can render the effect without a long listening effect, and it may be the solution I need. This is in the ride aspect, vurtual reality using your imagination instead of glasses, although light glasses make the ride 100x more intense and fun providing behind the eyelids light stimulation that causes you to go into a deeper trance and your imagination to really wake up. Dynatmosphere was created to resolve my problem with most retail CD’s like mine as well as my own. I once said there has to be a way to make a meditation CD maintain its freshness, it’s amazing feeling. I got the idea for Dynatmophere from the changing seasons! I hate buying an amazing atmosphere CD only to find that after 30 listens or less I’d tire of it. The atmosphere was still tight but my brain bored of it since it was no longer being stimulated. I bore easily so creating Dynatmosphere was a godsend for me. My CD’s were marketed as instant meditation for people who can’t meditate easily (like me). That was my unique selling angle at first. They all pretty much knock you out using your body's own chemical factory stimulated by sound. The "Ride" Can Be "Educational" Too! "How Do I Know I'm In A Meditative State?" Another brilliant concept I came up with that even made me take a second take was TripKnowlogy which is a blending of ‘Trip” or “Ride thorough your imagination” and knowledge or learning along the way. It essentially has the same exact connotation as “Tranquil” “Wiser” but TripKnowlogy is a bit different as it was invented to answer a very simple question my customers kept asking (before they listened to the CD) which was “How do I know when I’m fully in a meditative state?” My answer was, do you see that pink elephant? LOL kidding…. For some they would reach the ecstatic states of meditation but they wanted to know the exact moment they were in theta state (imagination is fully stimulated and vivid in that state, a sort of waking dream state). I pondered this for a while then came up with a way to show my customers they were in a meditative state in a very interesting way. Imagine if you will, that you’re listening to a track with a very interesting beat, sound, and binaural beats feel to it. Now realize that when you listen to theta entrainment binaurals your brain will synchronize with the theta state (one of the main ingredients in most of my CD’s is theta entrainment or Hypnogogic entrainment (pure hynogogic entrainment is very intense so I step it up slowly in many of my tracks but there is one that is pretty powerful but not for the weak at heart or anyone who has sensitive ears). Hypnogogic/Theta state is a state of vivid imagination, sort of like sitting in a room and realizing you have a clear picture of your living room in your head, and your eyes are closed so you look around (eyelids still closed) and are in a state of imagination so vivid you can actually see clearly your living room (from memory) in real time with your eyes shut in a pitch dark room. What really trips you out is when you are in the dark and open your eyes and what your real eyes see (not the minds eye) is less vivid than what you see when you close your eyelids!!!). This is an example of the power of theta brain state (where all creativity flows including dreams). While listening, your slowly being ramped into a theta state, once there your brain is capable of seeing something that before was simply in a different dimension, invisible to the conscious mind but visible to the subconscious mind. When the mind sinks up with the subliminal sounds (which are not just subliminal they are binaural enhanced) you get an apparition/ghostly effect, sort of like a memory at the tip of your tongue but you can't connect it. What this does is two fold. 2. You tend to try to hear them better through focusing on them, which improves your ability to absorb affirmations in the subliminal range as the subliminals I try to get into the same range as the tripknowlogy concept so the two would associate with one another (like two people in a room tend to at some point talk to one another)! Now you’re listening, relaxing, and your imagination starts to really go wild. Childhood memories that were once so distant seem like they happened yesterday (this happens because in a Hypnogogic state your memory associations start to become more specific and your able to trace them back. Everything in deep memory is still attached to some assoication and if other associations happen that connect to any memory you tend to flow down a path to that memory. The wonderful thing about this is you can actually strengthen these associations over time and make them feel as vivid in waking state as in a hypnogogic one! ), and all of a sudden the music starts to take on new and bold characteristics. You hear things that your not sure are actually there or not but you know you hear them. What I’ve done here, and I won’t divulge how I did it because it’s a trade secret, is I’ve made it possible to hear certain sounds I’ve subliminalzed using a binaural beat carrier signal. The reality is you hear them subconsciously the whole time but they escape your conscious mindset. Once you are in theta brainwave state you will start to hear them consciously, but barely. Think of it like being in sync with the frequency of the data thus can read it. It's like trying to read in the dark then the light comes on gradually and you can see the book. If you were to listen to the CD in random spots, even the first few minutes, you wouldn’t hear them unless you’d been entrained for about 7 minutes straight (so passing it to your friend who wasn't listening and saying "do you hear something there" won't work unless they start the CD over). What’s brilliant is you can listen to the track all the way through then have it loop and you’ll hear the stuff you missed in the first 7 minutes! If you stopped listening you'd break out of trance and have to ramp up again for 7 minutes. The idea came to me when I was at a department store and saw one of those pictures with scattered chaos and they tell you to stare in the middle with eyes unfocused for a while and you’ll see a picture in the middle. This was a very popular thing at the time and honestly I couldn’t see (still can't) the dam picture! My original thought about this was I wanted to create a CD that would put me in a certain brain state so I could stand there and look but bam see the picture (like all my friends could do). I figured you entered a certain brain state of creativity before the picture would be seen, a sort of whole brain synchronicity. One thing that sets my niche market apart from all of my competition is that I don’t simply use old technology to bring about entrainment, internal dialogue healing, or even give the “digital narcotics ride” experience; I strive to do things in a new way USING older technologies in a sort of synergistic fashion. My company was first and foremost about listening to a CD that intrigues you, puts you in a very meditative place, and stimulates you highly. I've renamed my line “TranQuil-Wiser Holograms” because they actually feel like holograms with the way they fuse your imagination and sensory memory together. I use the entire 360 degree stereo channel spectrum to pull you into your imagination in a very interesting and vivid way. My musical inspiration is Pink Floyd, LinkinPark, and R&B styles; mostly the strange feel of Pink Floyd is what I go for. I use sounds from my life (my cats purr meow water from faucets and so on) in my music and manipulate them to create stimulating effects. It's sort of like high speed photography but with sound and when you slow any sound to 15% it's no longer recognizable but it is a very intriguing sound to make music with! Well that's all for now, If you enjoyed this article then you probably would enjoy my articles elsewhere (same brain and all). Currently my company and products are offline but I'm gearing up to retool it into an online business- that I may sell once it's up again. The Music Era was a great deal of fun, I still dabble in music and sound manipulation through creating video tutorials and soon movies of a sort. This article is an extension of another article here. "Music makes the heart merry."